This is the fourth post in a series on responsible and affordable AD&D shopping. This one goes out to the GMs in the crowd. Let’s be honest. You’ve got a tough job. I mean, sure, you love it. You love the adventure, the creativity, and of course the unfettered power. Wait, did I just say that out loud? Don’t mind that, players. Anyway, being a GM is great. Until it comes to prep time. You gotta read that module or gather those stats. You’ve got story hooks, plotlines, and story arcs to parse out. Even if you’re one of those rare unicorn GMs who does minimal prep (not me), there’s still one piece of preparation that you probably think about a bit: maps. What does this game system need? AD&D? As I argued last week, I think it definitely needs a grid map. The Star Wars RPG by FFG? Nope. No grid map needed. In fact, I rarely ever use any kind of map. 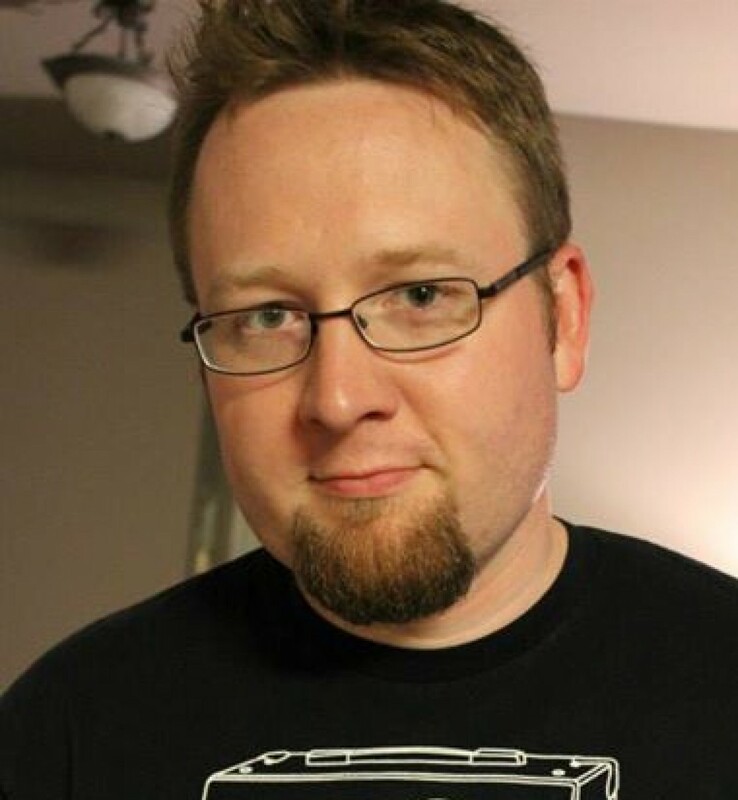 5e? I’ve seen it played both ways. 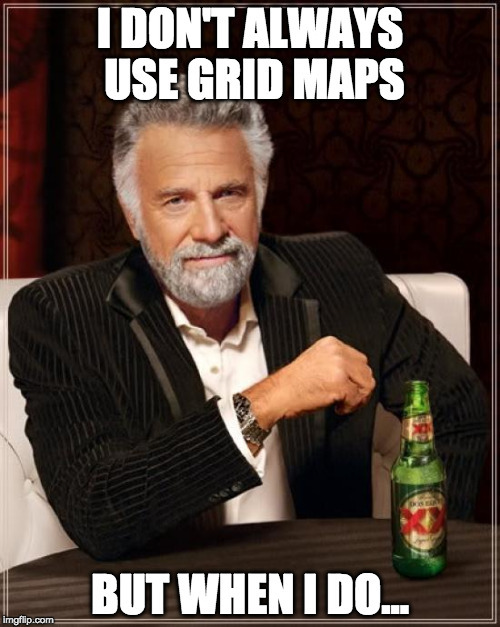 I might tend toward a grid map, but I’m certainly not going to freak if you don’t use one. Here’s my point. If you fail to use a grid map when the rules prefer or require it, it’s going to detract from your fun and from the fun of your players. And nobody wants that–especially someone like yourself who has poured time and energy into this campaign. If you want smooth, unhindered battles, consider deeply what your game system needs. Grid map? Or no? How much prep time can you devote to maps? Chessex wet-erase grid mapsI love these all day long. When my players arrive, it’s rolled out on the table and ready-to-go if we need it. Doesn’t take any setup. Battle comes? Battle terrain is drawn. Just keep in mind to draw plenty of obstacles, to leave lots of range for those ranged-types, and to encourage players to imagine beyond the marker. D&D Dungeon Tiles and other related itemsThere’s a million different plastic and cardboard map tiles out there to purchase. I got a great deal on the 4th Edition D&D tiles, so I’ve continued to use those. Frankly, these don’t get to the table much, because it adds another 30 minutes to my prep time. You’re not going to get the map on the table with speed during the Session either. Print-your-own grid mapIf your budget’s limited, there are myriad websites (here’s one) where you can print off grid maps at the size you prefer. But again, you’ve got to do your printing ahead of time. I’ve never used this, but I understand some GMs do. Combination to save timeI’ve found myself integrating the first two options. First, I just like my huge grid map out on the table. It just feels right. But second, it’s easy to chuck a few obstacle tiles out there to liven up the space, while filling in the rest of it. Again, this minimizes my prep time, my setup time in-game, but still has some flair. In the end, here’s what you want: a grid map that rewards the time put into it. There comes a point that no matter which map style you choose, the law of diminishing returns is going to apply. So pick what will work for your system, choose according to how much time you have to invest, and get that map on the table! Because that’s what we want in the end–for ourselves and our players to have a great time playing without burning up all our time preparing maps. Agreed? Agreed. One of our DMs has some of the laminated grids, but we have frequently just used olfa cutting mats, which have 1″ square grids [the large one we use is 2’x3′]. You can’t use markers, but you can use chalk. It goes well, I think with our motley assortment of minis which range from actual miniatures to lego minifigs, and on into weird random toys of approximately the correct size [like a Gir from Zim – it’s about 2″ tall, so it tends to be statues, giants, etc etc]. We also have a history with a wide variety of fill-ins, including coins, dice, and Christmas ornaments. That’s an awesome tip! How much do those cutting mats cost on average? Olfa? Probably too much. They are inherited from sewers and crafters in the family. One of those “because we have them” things. Thanks for filling us in! I’m glad you inherited them from SEW-ers and not sewers. That would be an entirely different thing. Personally, I try never to use maps and minis. Over 30 years of gaming and I only own a handful of random minis and no terrain. I prefer theater of the mind and do all my rpg campaigns as shared storytelling and descriptive combat. I will have maps for my reference that I either drew on graph paper or came with the module. I have a battlemat if I need to draw something up quick if my description doesn’t work, but even then I do not draw to scale. My players know I prefer to be highly descriptive. Even in combat we are lose with range and AOE so the players and I can describe the action in the moment and keep the story flowing. Combat is a story element to me that I do not want miniatures, measurements, and mechanics to get in the way of. It requires a lot of trust between the players and the DM as this becomes cooperative storytelling as combat occurs. This also gives flexibility for my players to be creative with their attack and defensive moves and how their characters, abilities and spells interact with the environment around them. Some wrapping paper has 1 inch squares on the non-colored side, and Gaming Paper is great for prepping prior to the game. You can just write the schematics up, roll the maps up, throw them in wrapping paper tubes, and use them over and over for convention games. What an excellent, unconventional idea! Thanks for sharing!! Well, you know I like to alienate the half of my readers who play exclusively online. #GoofUp Next article perhaps?